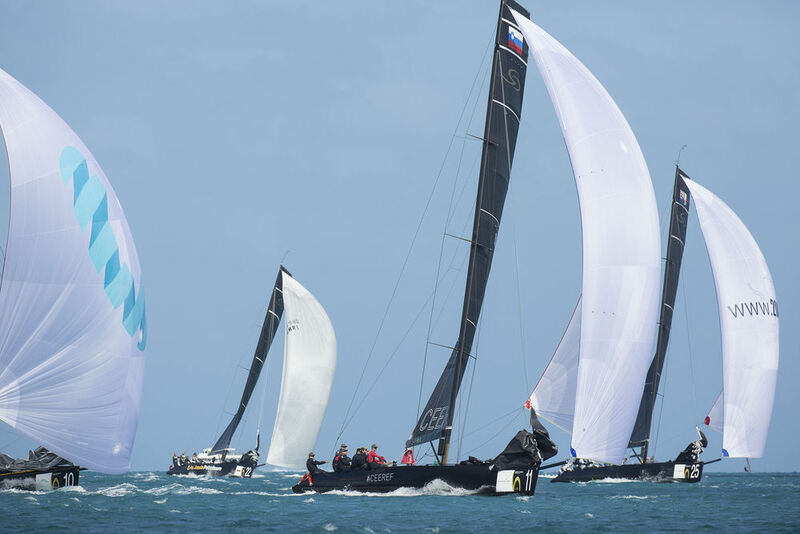 Despite near perfect conditions for racing on Bermuda's Great Sound, the penultimate day of the RC44 Bermuda Cup was one of snakes and ladders, the smallest mistakes having crippling consequences. With a spectator fleet out in force, once again the course created some tactical head scratching with the left frequently favoured in terms of angle, but the right better for pressure. Chris Bake's Team Aqua is showing some of her past form; the epitomy of consistency. Thanks to her 1-3-6 scoreline today she leads going into the final day of racing with a four point advantage. But the stand-out performances today came from Vladimir Prosikhin's Team Nika, finally demonstrating why she was the 2015 fleet racing champion, while Torbjörn Törnqvist's Artemis Racing at last managed some podium finishes. 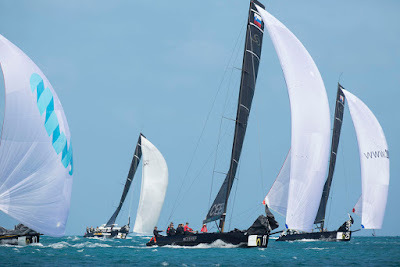 The first race saw Bronenosec Sailing Team take an early lead, ahead at the top mark and perpetually mixing it with arch-rival Team Nika. But on the next lap Team Aqua had pulled ahead and went on to claim a comfortable first win of the day with Team Nika beating Bronenosec in the photo finish for second. Race two saw Artemis Racing benefitting from going hard right on the first beat to round the top mark in first, pulling out a massive lead by the finish. There was some drama after the first top mark rounding when, soon after hoisting, the scarlet spinnaker on Alexander Novoselov's Katusha ripped in half. 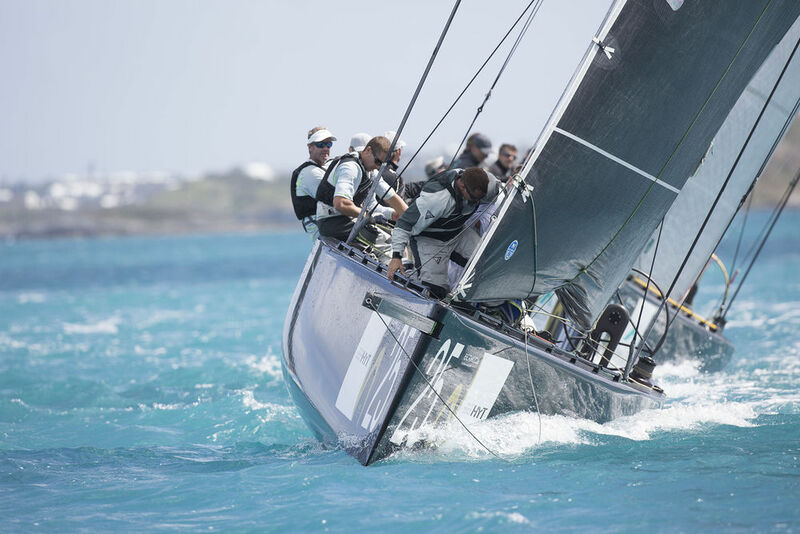 Today's final race concluded with a long leg into Hamilton's Inner Harbour, and a finish off the Royal Bermuda Yacht Club, the event's hosts. 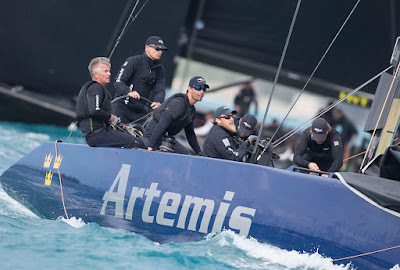 In this Artemis Racing again looked strong, but it was Team Nika that rolled her on the first run and thereafter hung on to take the day's final bullet. "We were really consistent, so I am happy," said a beaming Vladimir Prosikhin. "I had a very good talk with Ed [Baird, Team Nika's tactician] just before the warning signal and it changed the way we started. With that and good wind shift readings, we were okay. Boat speed is back to normal and we're on to a good trend: The last four races were 1-2-2-1. If we can continue like that, I'd be more than happy." Ed Baird, the 32nd America's Cup winning helmsman also had a spring in his step coming ashore: "Vladimir did a really nice job in the difficult situations today and the whole team did well keeping the boat speed high all the time and there was one little thing that was wrong inside the boat that was causing the problems: The difference in half a boat length, in several situations today, allowed us to cross and get into a good spot while someone just half a boat length behind had to duck and go behind and would lose four places." Artemis Racing's Torbjörn Törnqvist said he enjoyed the conditions today: "It is as good as it gets - it is beautiful and is a nice place, especially coming from Europe at this time of year! There were good opportunities upwind, a lot of shifts - 20° over the course and that certainly played a role in the results. I am quite happy with the way we are sailing and the way the tactics worked today." His Italian tactician, Francesco Bruni, said that the team prefer 14-16 knot shifty conditions like they had today. Their 7-1-2 scoreline he felt should have been 7-1-1, but "we made a mistake - at the top mark: We were leading and we were last at the gate, but we caught up again and did a good race." 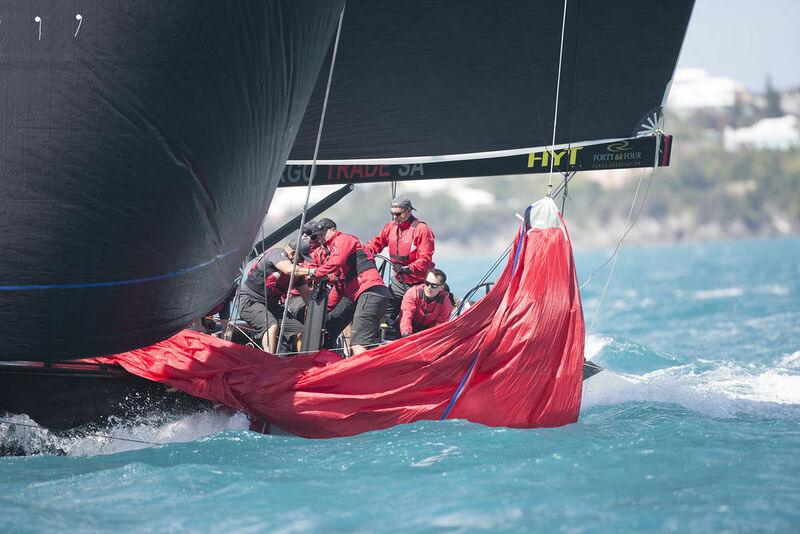 In today's first race, sailors from the Team Bermuda, the local Red Bull Youth America's Cup team, had the opportunity to sail in the ninth man slot on board the RC44s. Mustafa Ingham, who is still trialling to be a grinder for Team Bermuda, got to sail on Artemis Racing. "It was super intense and they were highly focussed and very professional - I don't know how they finished behind, because everything looked like it was very precise and they had it down to a tee." 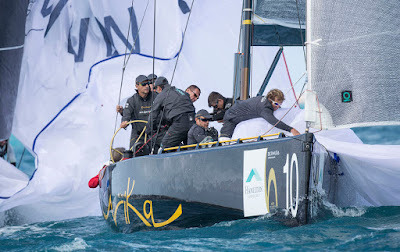 Going into the final day of racing, Chris Bake's Team Aqua holds a four point lead over Igor Lah's Team CEEREF and Vladimir Prosikhin's Team Nika, with Team CEEREF ahead countback. 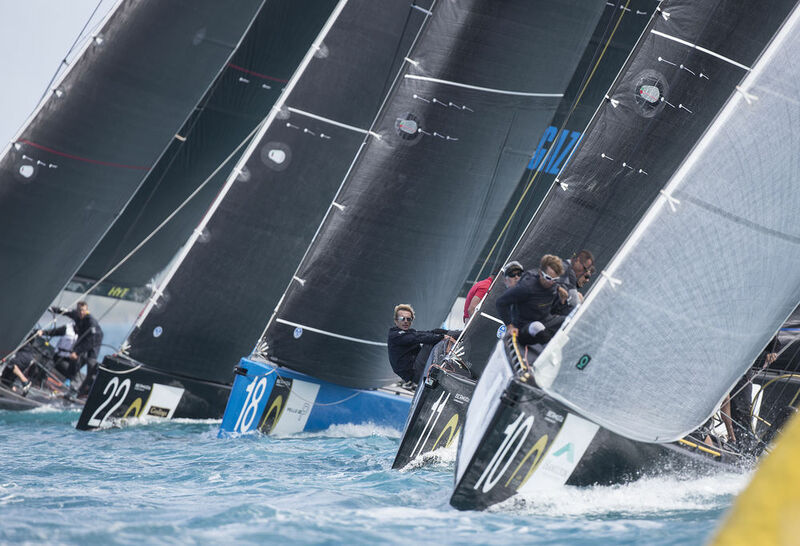 With just six points separating first to fourth and three races scheduled for tomorrow, the outcome of the RC44 Bermuda Cup remains far from certain. Follow the racing via the live blog at www.rc44.com.